We know Lexington is a community that supports the arts and we reach out to the community through our Annual Sponsorship Campaign. Sponsorship provides an opportunity for area businesses and patrons to show their support for arts education and the LHS choral program. 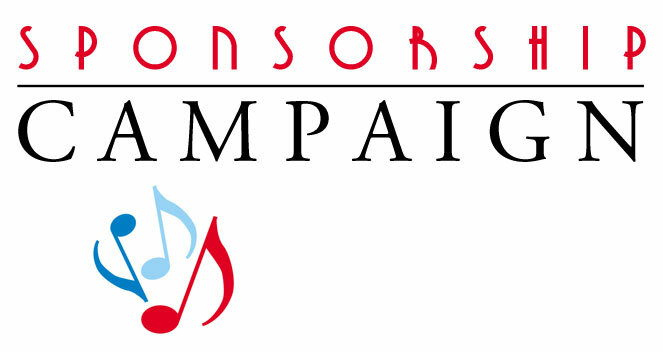 In return for a sponsor's generous support we will provide several advertising opportunities during our annual choral concert season. All ads must be turned in by September 4, 2018 in order to get to the printer and have available for our Fall Concert. All ads must be camera-ready. • A full page ad will be provided in the chorus program for the yearly concert season. • Sponsors will be introduced to the Lafayette parents and students prior to a choir concert/event. • Sponsors will be listed on signage displayed at each chorus concert. *Website listings will list names in a rotating pane on the front page with full info displayed on a dedicated sponsor page. Please contact Mr. Marsh for any in-kind donations of goods or services. Ads will be displayed in our program. Names will be listed in our program. All Sponsorship forms, ads and money should be turned in to the choral office by September 4. Please submit online. No payment is taken online. Please mail check when you complete the form. Submit only if not submitting online.